This comes as tobacco companies, including R.J. Reynolds and Lorillard Tobacco Co, try to stop the rollout of the U.S. Food and Drug Administration's new labeling requirements in a lawsuit pending before a federal appeals court in Cincinnati. 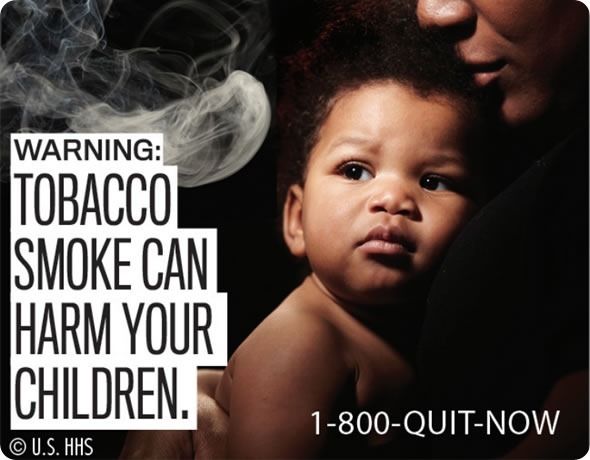 The tobacco manufacturers have argued that the new regulations under the Family Smoking Prevention and Tobacco Control Act violate their First Amendment rights to communicate with adult tobacco consumers about their products. The manufacturers say, the new law states, “packaging is dominated by burdensome new warnings that, in an obstructive and argumentative manner, reiterate information of which consumers are already well aware.” They files with the 6th Circuit U.S. Court of Appeals. The companies said that the public and young people in particular already “overestimate” the dangers of smoking, without the lurid warnings. 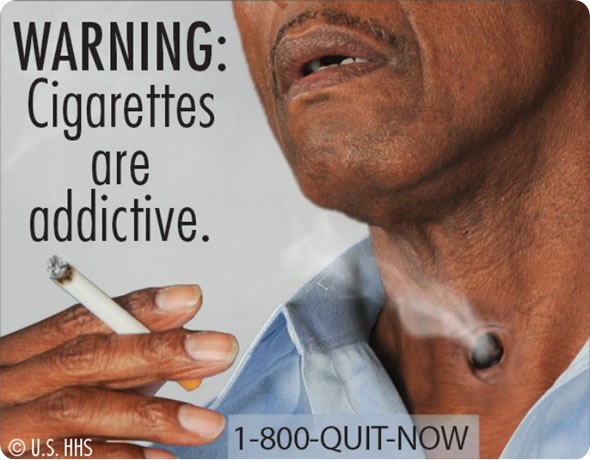 “These labels are frank, honest and powerful depictions of the health risks of smoking,” said Kathleen Sebelius, US health secretary. FDA Commissioner Margaret Hamburg explained that it was time. 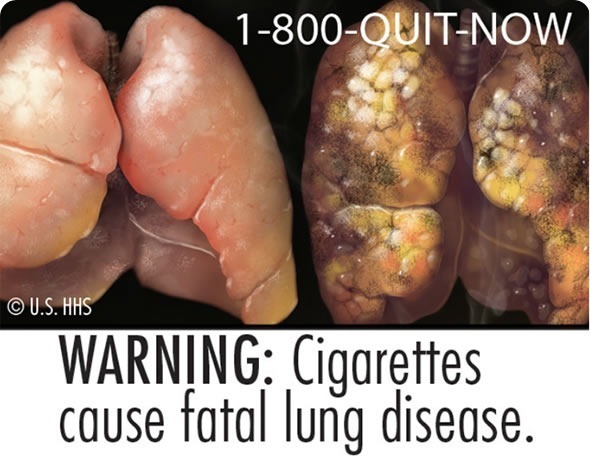 Various studies showed that the warnings, in small typeface on the side of cigarette packs that say things like “Cigarette Smoke Contains Carbon Monoxide.” “had lost their power and effect,” Hamburg said. The FDA got 18,000 people to look at images the agency developed — in fact, it was the largest consumer response study ever undertaken for health warning labels, Hamburg said. The agency gauged peoples' reaction, whether it made smokers more likely to want to quit, and whether it made non-smokers less likely to take up smoking. 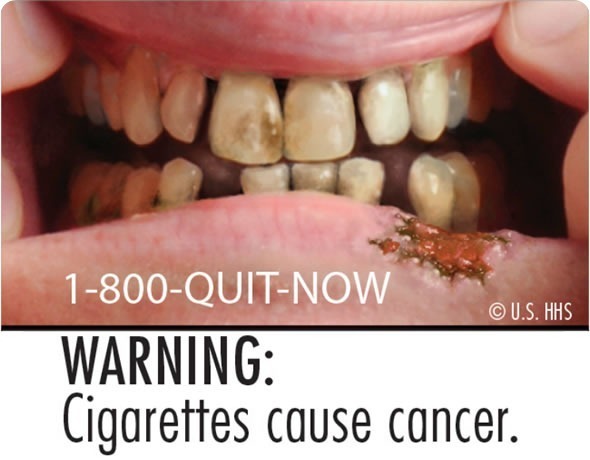 The agency eventually settled on nine images, including one of a tracheotomy patient smoking and another of cancerous lesions on the gum. A lower-court judge in Kentucky federal court upheld the bulk of the FDA's new regulatory framework in 2010, including the new graphic warnings. 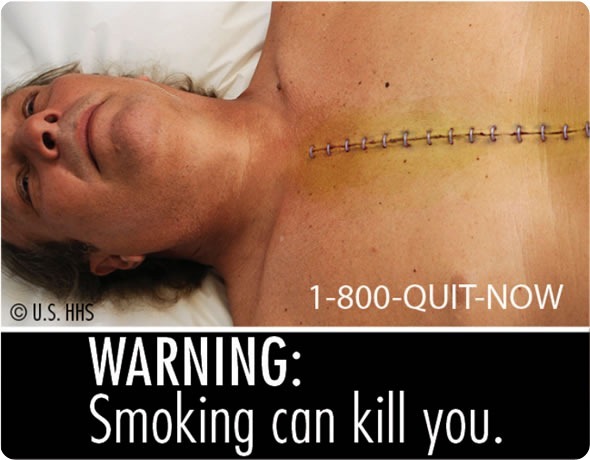 He wrote that the addition of a graphic image would not alter the substance of the written warnings that already appear on cigarette packs, including “Cigarettes are addictive” and “Smoking can kill you.” The companies accuse the government of forcing them to disseminate an anti-smoking message in order to stigmatize and embarrass fully informed consumers. Richard Daynard, a law professor at Northeastern University School of Law, described the case as “silly,” noting that no company has ever brought a First Amendment claim against the FDA for all of the labeling requirements they impose on drug advertising. The government defendants have argued that the new warnings are more effective at conveying the dangers of smoking, based on ample scientific evidence that Congress considered in passing the law. A similar format is already required in Canada and numerous other nations. Oral arguments in the case are scheduled for July 27 before the 6th Circuit.